As a Christian and an astronomer, it’s only natural I should have a keen interest in the mystery of the Star of Bethlehem. While I’ve never done any original research on the topic, I’ve followed new developments from a distance over the years. And each time it appears all plausible explanations have been exhausted, someone comes up with a fresh idea. Now we have a lengthy treatise written by an academic. Will we be surprised again? I have to admit I started Colin Nicholl’s The Great Christ Comet: Revealing the True Star of Bethlehem with considerable skepticism. Quickly perusing the book before I began reading in detail, I noticed Nicholl adopts 4 B.C. as the date of Herod’s death. While this has been the consensus view among historians, recent scholarship throws this dating into doubt (more on this below). Nicholl is obviously aware of this debate, but seems overly dismissive of challenges to the consensus. I feared if he lacked careful attention to this important point, his scholarship on other points would be similarly weak. I’m happy to report, however, that I was wrong in my initial assessment of The Great Christ Comet. Unquestionably, Nicholl is a deeply knowledgeable and meticulous biblical scholar. Nearly every page contains multiple footnotes, often to obscure books and scholarly journals. But he is also humble. He acknowledges early on that the study of the mystery of the Star of Bethlehem requires expertise in multiple disciplines including biblical studies, Ancient Near Eastern (ANE) history, and astronomy. I’m impressed he dialogued with multiple astronomers while working on this book. Gary W. Kronk, a leading expert on comets, wrote the foreword. The input from astronomers is evident in the high quality and great depth of discussions relating to the technical aspects of astronomy. Nicholl carefully explains the basic motions of celestial bodies in the night sky, always with attention to details relevant to ANE observers. He also does a very good job explaining the anatomy, orbital mechanics, brightness changes, and visual appearances of comets. Nicholl often draws on detailed historical accounts of bright comets, including many beautiful illustrations; the visual impact of a celestial phenomenon is an important part of the story of the Star. I couldn’t find any obvious errors in the book’s astronomy content. The biblical text is Nicholl’s main source material. Early on, he makes a solid case that the nativity narrative should be taken as describing real historical events. Not only does he make use of the detailed description of the Star in Matthew 1:18–2:18, but he also brings in Numbers 24:17, Isaiah 9:2, and Revelation 12:1–5. Though Kronk says in the foreword that Nicholl is the first to tie the Revelation passage to the star, this isn’t the case. In chapter 4, Nicholl actually states Ernest L. Martin did so in The Star of Bethlehem: The Star that Astonished the World, as well as Frederick A. Larson, likely influenced by Martin, in his The Star of Bethlehem documentary. I’m not spoiling the conclusion by telling you Nicholl strongly advocates the comet explanation for the Star; that much is evident on the book’s cover. Before presenting his own theory, he critiques other well-known proposals. These include various conjunctions between Jupiter and other planets or stars, a nova or supernova, meteors, and an ordinary star. He also notes that the 12 B.C. apparition of Halley’s comet, which some have identified as the Star, is much too early to be consistent with the biblical chronology. I find his critiques to be persuasive. Nicholl is a good storyteller. As I read through each chapter I had the impression he was retelling the story of how he’d worked as a detective to solve the mystery of the Star, carefully sifting through subtle clues bit by bit to arrive at a final, inescapable conclusion. Although at times the material can be technical and the pace slow (with some very long footnotes! ), I think he manages to maintain the average reader’s interest most of the time. Without giving away the whole story, I’ll briefly summarize Nicholl’s theory. Only a comet, he argues, can do all the things the Star is reported to have done in the nativity texts—leading the Magi to Jerusalem, then to Bethlehem, then to the specific house in which the Christ child lay. I must admit I was astonished when I read Nicholl’s description of the celestial sign he says prompted the Magi to make their long journey to Jerusalem. I won’t spoil the surprise by revealing it here! Nicholl even gives the orbital elements of the “Christ Comet.” This is quite an achievement. With these, anyone with modern planetarium software can follow its path across the ancient skies and confirm that it did everything Nicholl claims for it. I need to say a few words about the timing of the Christ Comet. As noted above, Nicholl accepts the consensus dating of Herod’s death (4 B.C.). In 2009 Andrew Steinmann, professor of theology and Hebrew at Concordia University, published a paper in Novum Testamentum titled “When Did Herod the Great Reign?” in which he presents a case for Herod’s death occurring in 1 B.C. There are many subtleties in this debate, such as whether one should count partial years in calculating the length of a king’s reign and which lunar eclipse is relevant to Herod’s death. In my opinion, Steinmann presents a compelling case for the 1 B.C. date. On this accounting, Jesus was born in 2 or 3 B.C. Nicholl’s birthdate of 6 B.C., then, is excluded in the new chronology. His estimate is based on the celestial event described in Revelation 12. So there are actually two possible dates: September 11, 3 B.C. or September 15, 6 B.C. Thus, there is a simple fix to Nicholl’s chronology—just advance his dates by three years! So, has Nicholl finally solved the mystery of the Star? I’m tempted to say he has. 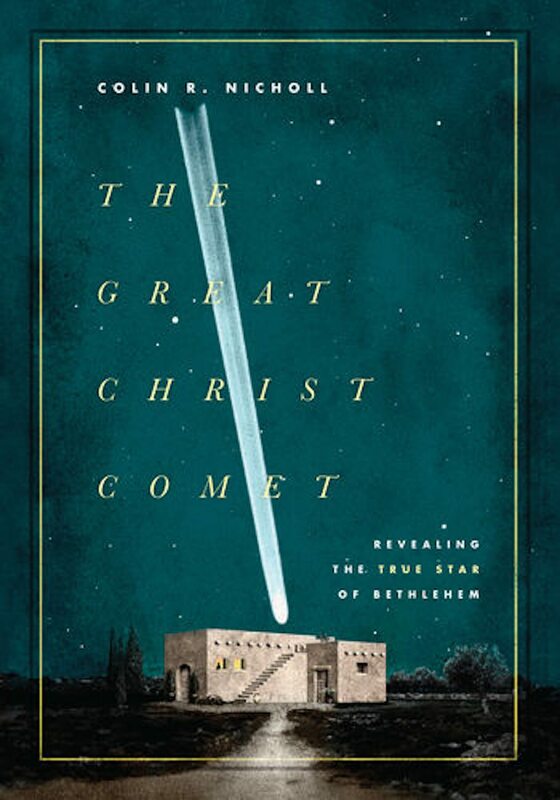 But until an independent reference to the Christ Comet is discovered in the historical record, I would have to call his theory a speculative historical reconstruction—albeit a sophisticated one that may be the most plausible offered to date. Historians, take note: even a single brief note of a comet appearing at a certain date and in a particular constellation consistent with Nicholl’s theory would be enough to confirm it. Guillermo Gonzalez is an assistant professor of astronomy at Ball State University. He is the co-author of The Privileged Planet: How our Place in the Cosmos is Designed for Discovery.